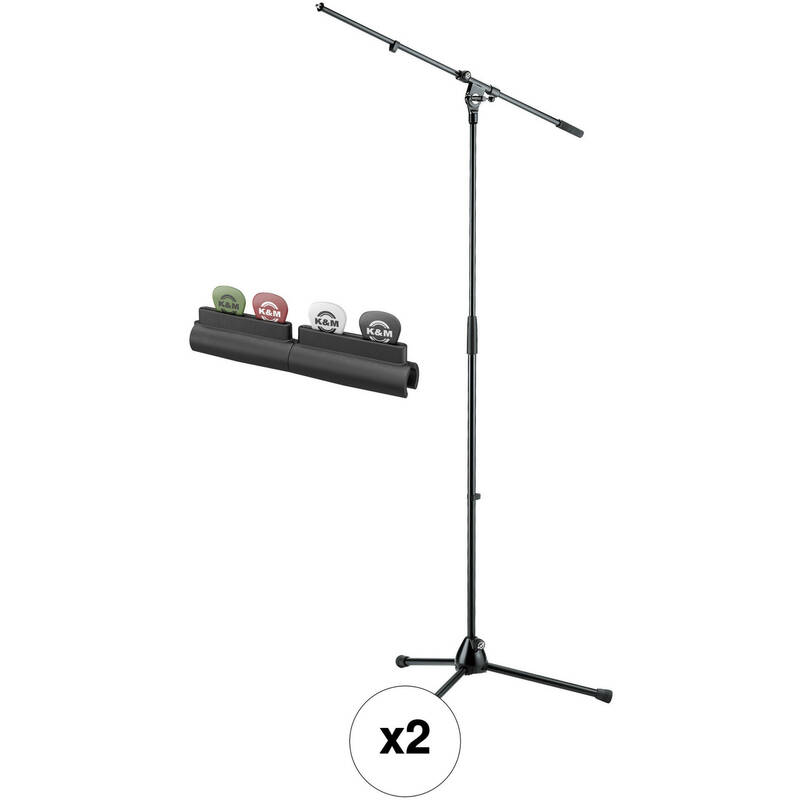 Stand Adjustable from 35 to 63"
This B&H Kit combines a pair of K&M 210/20 Tripod Microphone Stands, which feature fixed boom arms and 14510 pick holders to create a rugged live performance set up for singers and guitarists. 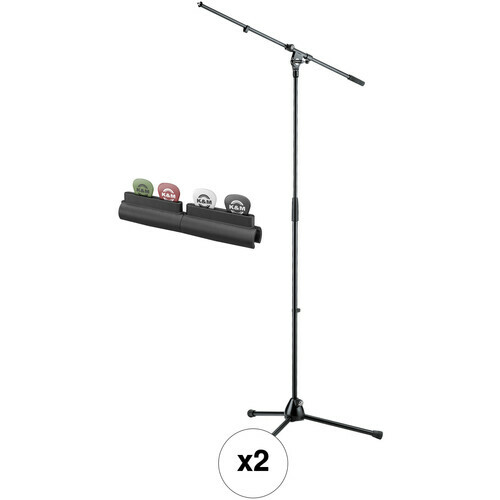 The K&M Tripod Microphone Stand with Fixed Boom Arm and 14510 Pick Holder features a 33" fixed boom arm and is height adjustable from 35 to 63". The stand features steel construction and a 3/8" threaded connector. A 14510 pick holder is included.